Clark Estate produces beautifully crafted wines from their vineyard in the rugged Upper Awatere Valley in Marlborough. This trophy-winning vineyard was founded by Peter and Jane Clark in 1998 and their three offspring are now all involved in running the business. Clark Estate produces single vineyard Sauvignon Blanc, Pinot Gris, Pinot Grigio, Riesling, Rosé and Pinot Noir that authentically reflect their origin. Taste these stunning wines at Blenheim’s only evening Cellar Door in the courtyard of Dodson Street Beer Garden. Enjoy a complimentary tasting before heading next door for an evening meal with a glass of Clark Estate. 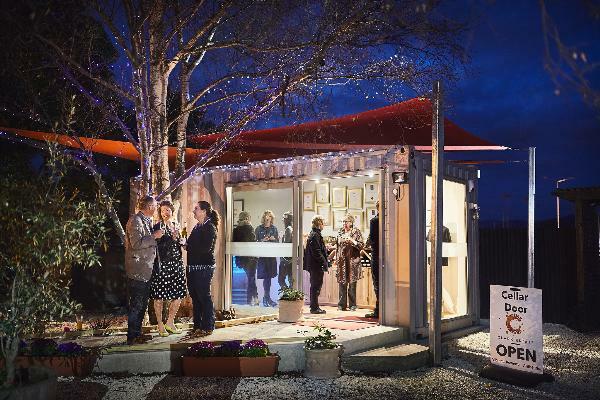 Clark Estate recently opened their Cellar Door in Blenheim, allowing you to taste their stunning wines at the city’s only evening Cellar Door located in the courtyard of Dodson Street Beer Garden. The Cellar Door is the first of its kind in Marlborough and designed to offer you an Awatere wine experience without having to leave Blenheim. Come in for a complimentary tasting, purchase wine to take home or stay on for a meal and a glass of Clark Estate right next door. Open 4-8pm most nights.